My entire shop is closing and once items sell out, they won't be returning so get them while you can! I'm offering steep discounts on all of my merchandise and some incredible coupon codes to add to your savings! All orders help me move to Oregon to be with my long-distance love! All $100+ orders can receive a FREE item from my bulk section! Request your choice in your note to seller when checking out. Order must meet $100 BEFORE shipping and AFTER discounts. Buyer MUST request item, no random selection will be sent. 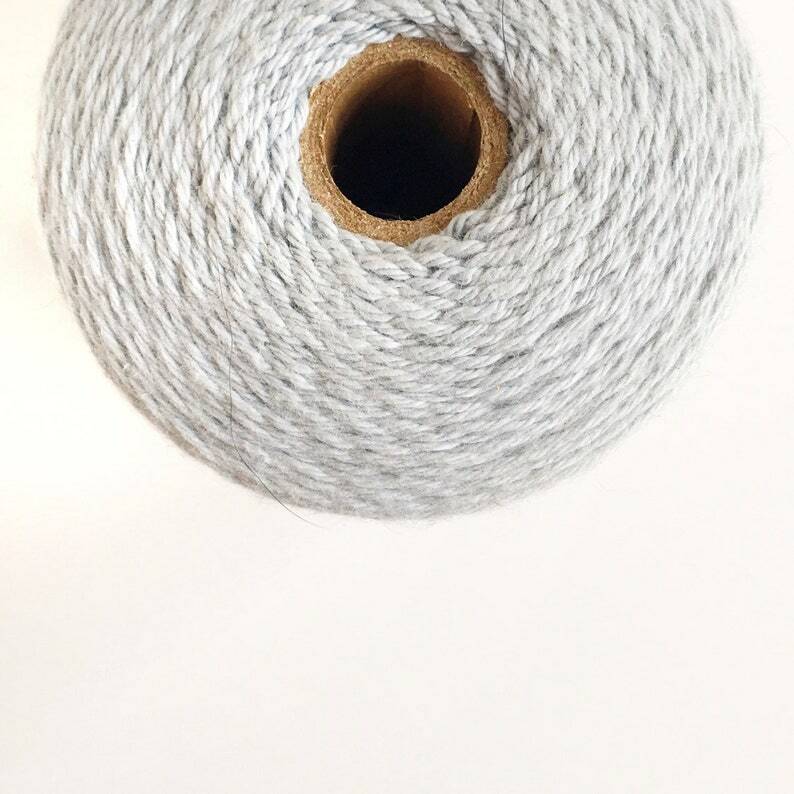 This listing is for 10 yards of baker's twine in light blue (more blue than photo shows). This twine is perfect for crafting, gift wrapping, parties, weddings, product packaging, decorating baked goods, scrapbooking and more. Baker's twine measures approximately 1mm wide and will arrive hand wound on a cardstock spool. If you need a larger quantity than listed, contact me for details. IMPORTANT: This is a stock photo of this listing. You will receive twine that looks identical to that pictured. Twine will arrive on a cardstock spool in maximum quantities of 20 yards total. Please allow for color differences on your computer screen. Bulk spool not included. Rush orders welcome! Simply let me know before ordering so I can confirm whether I am able to ship the order out by the date needed. All orders are shipped via USPS First Class, Priority Mail or First Class Mail International. US orders and select international orders will ship with a tracking number. Orders over $50.00 automatically ship with insurance. US BUYERS – You can now select the Priority Mail shipping upgrade right from your shopping cart! If you are placing a large order, feel free to contact me for a private listing with a more accurate combined shipping rate. INTERNATIONAL BUYERS – For larger orders, feel free to request a private listing with a more accurate combined shipping rate for your location! Very nice quality Baker's twine. Such the cutest! Perfect for my project! Shipping was fast! Thank You!